Let me put something out there right away so that you’ll read the rest of my article. 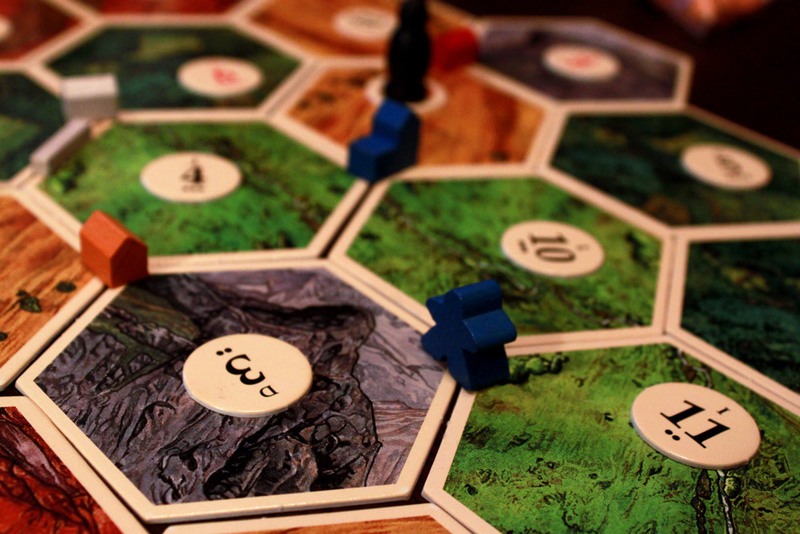 No, Catan is not really a worker placement game. Yes, I just countered the original point of my first article. So why make the claim at all? The very interesting outcome of my outlandish claim has been the discussion around Worker Placement. What is it? How do you define it clearly? 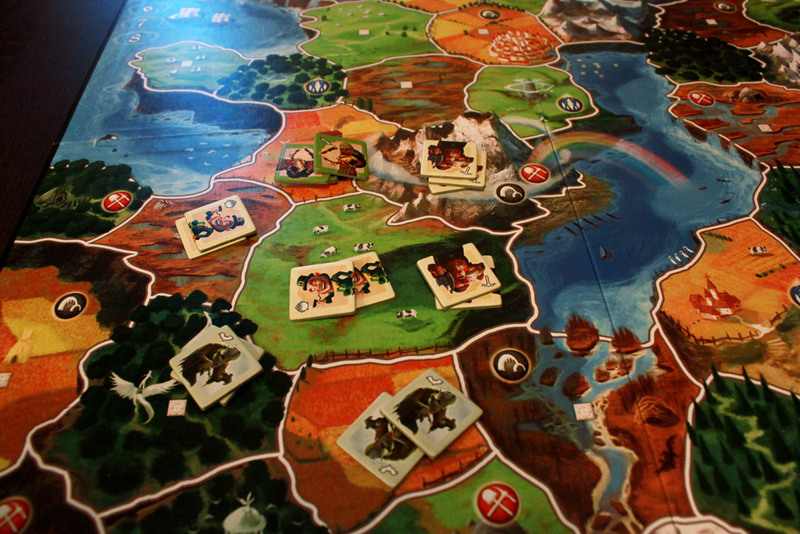 And what makes Catan NOT a WP game? We all know in our guts that Catan is not WP. And yet we have a lot of trouble specifically defining why that is so. Since my original tweet on Twitter, a lot of people have sent me extra “rules” that they claim are the reason why Catan isn’t WP, and I’m sorry to say but most of them are wrong. Sure, there are plenty of things that Catan doesn’t have that WP commonly feature. But these specifics do not define the genre. There are WP games across the board that break out of the original box, and suddenly you have a lot of Exceptions To The Rule. Is your definition really worth anything if there are so many exceptions? No one argued against any of these rules, so we will leave them as is for now. But perhaps the definition is missing something. The most common “4th Rule” I heard was that “Workers must be removed” – my proud but misinformed compatriot over at GFBR went even further, saying that some BENEFIT must be received when workers are removed. Sorry kids, but you’re wrong. Wrong wrong wrong. I don’t have a specific example of a real game that exists that breaks this rule. But, I could certainly imagine one. Imagine a classic WP setup – one that follows all the common expectations, even if they aren’t rules. You have a central board with a number of placements. Each placement provides some sort of resource or action. Each player has a set of workers. Players take turns placing these workers on the board to receive the benefit. However, once a spot is taken, it’s gone forever. Once you place a worker, it’s locked in forever. The different placements may be more valuable at different times during the game; it may be more beneficial to wait an extra turn or two to snag a specific placement, but there’s a risk that another player could nab it before you, and it’s a big risk since that spot will never be opened again. While it could certainly use a lot of fleshing out, a game following the classic elements but locking in Workers forever is still a worker placement game. It’s a new twist on the genre, but unlike Catan which doesn’t fit and we all know it, it is conceivable to think of a game that breaks the “workers must be removed” element yet still falls in the Worker Placement category. And it’s absolutely audacious to say that a benefit must be received when workers are removed. 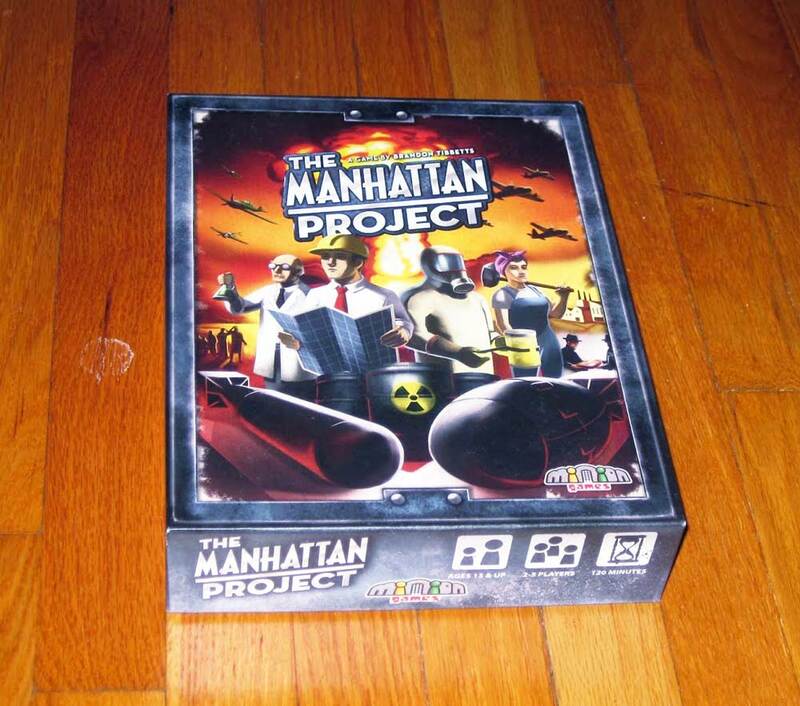 Some WP games, like Manhattan Project, give you the benefits immediately on placement. And while taking back your workers certainly gives your workers back to you and frees up spaces, it also takes up a turn you could be doing something productive AND frees up placements for other players to grab. It is entirely within the realm of reason for Placed Workers to gain an immediate benefit, and none later. So what is the REAL 4th rule that makes the division clear but doesn’t go too far? A recent BGG thread apparently started by Friedeman Friese asks about these common elements of WP games and which are required. Let’s run through that list quickly to see if there’s anything interesting to offer. At least we started off strong. While I meant to imply this with my second rule, I left it too vague. While I don’t think every possible action or placement needs to be necessarily available to all players, there does need to be some central set of actions the players are competing over. We can revise my 2nd Rule to include this. I don’t see any reason why your actions couldn’t affect other players. That may sound like role-selection but I think the real difference is in role-selection you claim one benefit, everyone else claims one benefit, and it all resets afterward, whereas with WP you have multiple rounds of choosing actions because you have multiple workers to place. It just depends on what the game is trying to accomplish in regards to who gets to do what when a worker is placed. Not a requirement of the genre. This is a common theme, but i don’t think it’s a requirement. In fact, in the Manhattan Project you can claim multiple actions each turn, so this is a solid non-requirement. While this is almost inevitable (even games with simultaneous selection like Dungeon Lords, there has to be some order to the resolution of placement), I don’t think it’s a defining characteristic. Someone make a real-time WP game already! This is a common theme, but is it really a requirement? It’s true, in many WP game each placement gets filled up by workers, but is it required? With a limited set of workers and a variety of actions needed, I could see a successful WP game have more open-ended placement. A common theme, but unnecessary as a hard and fast rule, for the same reasons as above. Another pointless restriction, or perhaps too unclear. A heavily WP-oriented game could contain other elements, and it is reasonable to think that certain actions could be less limited than others. Most of the time actions will be limited, but the “All” is definitely too broad, and I think the limitations of placements and Workers is enough that this rule is unnecessary and causes more confusion than clarification. These last few items have been pretty closely related, and again I think this is just too specific. Why couldn’t a placement have multiple “slots” that can be used until filled? Specific games certainly will have this rule, but if I’ve said it once I’ve said it a hundred times; it’s not a genre-wide requirement. Does it have to be? The Manhattan Project keeps popping up as an example, but that is a game that is clearly Worker Placement and yet it breaks the common mold in many ways. This is one of them; in the Manhattan Project, one player can call back their workers but it doesn’t happen for all players at the same time. This certainly leaves the door open for more creative ways to get your workers back, and it’s definitely not a genre rule. This is a meaningless statement. Most euros are pretty sketchy thematically, and anything that does, well, anything could be thematically interpreted as work. Gain resources? work. Do some sort of action with resources? work. Mess with other players? work. What action could you possibly do that couldn’t be in some ways interpreted as work? Another silly restriction. Persons? Why not machines? animals? ships? land mines? There’s no need for the restriction so it shouldn’t be a rule. While each player needs to have their own set of workers, we have a direct example in the Manhattan Project (again, busting out of the mold) which has neutral workers available that can be claimed and used, and are then returned to the neutral pool afterwards. This is definitely the expectation in Worker Placement, but why not allow a particular placement that lets you place an opponents worker? Or an entire game where you choose what your opponents get instead of your own? I could see that working and still be a Worker Placement game. Why would this need to be a requirement? 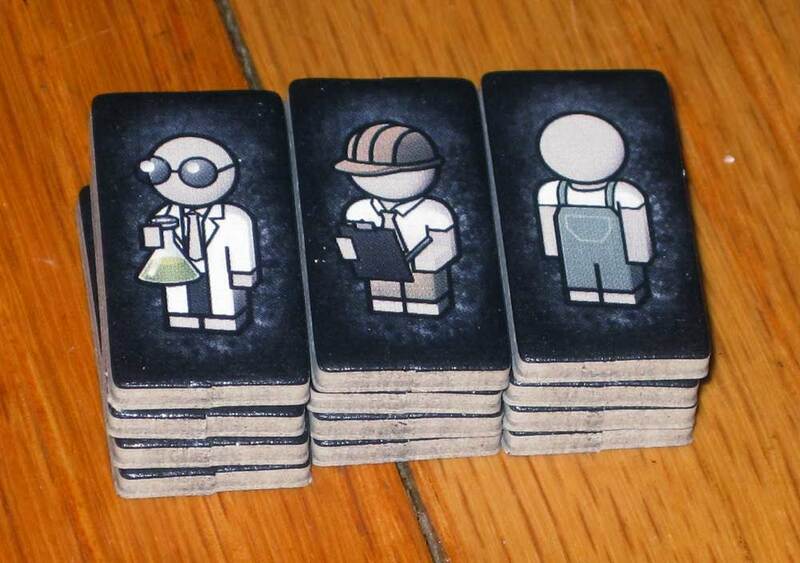 Having different types of workers could add an interesting layer to a WP game. In fact, Manhattan Project yet again throws a twist in the genre with 3 different types of workers, with specific placements being tied to specific types of workers. I didn’t make these up, people, so sorry if it seems a little repetitive. This is certainly true, but fortunately the 1st Rule covered it. Many of these points are seen as common themes in WP games, but they are simply to specific to really apply as genre rules. If we had to follow all these rules we’d end up with a lot of games that are very very similar. Or we’d have a slew of games that don’t fall into a genre. With too many exceptions, a rule does not provide clarity, but instead confusion. On top of that, this list is missing a few key restrictors. What we need are a few clean, general rules that make a definition that makes sense, excludes the correct games, and isn’t overly specific. I stick by my original 3 rules, with some minor revisions as mentioned above, and now I would like to add the 4th. The real and seemingly very elusive “4th Rule,” may seem obvious once I say it. It’s all about geography. Obviously, not every board game features a map of the world so when I say “geographic” I’m applying it metaphorically to any sort of relative locations on the board. This rule clearly eliminates all of the “questionable areas.” When the placement of new tokens must be placed in a near (usually adjacent) location to the original placements, you’re either controlling an area or building a network. Lets go back to Small World: once you’re on the board, you really only have the choice of targeting adjacent locations with your warriors. We already cleared Small World as a WP game but this makes it definitive. When you place workers in Dungeon Lords, it doesn’t matter where you place your other two Minions, you can place your third anywhere you have access to – as long as those placements don’t fill up before you get the chance to place. The same is true of The Manhattan Project (how could I not mention it now). The “Geographic” clarification is important, because there certainly can be other limitations to placement; in Dungeon Lords, for example, there are always 2 placements unavailable to you because you used them previously; and it is extremely common that when a placement is occupied by another worker it is inaccessible (with special exceptions). But these limitations are not because of geography. They are dependent on each game and there does not need to be a hard and fast rule on these restrictions, other than the fact that they cannot be location-based. Catan, when tested against the 4th Rule, fails miserably. Aside from your initial placements, you can’t do anything on the board unless it’s tied to your existing locations. You can’t just build a new settlement out in the middle of nowhere, you have to connect it, geographically, with roads. Sorry, Catan, you’re out. When you try to imagine a game that breaks this 4th rule,you will realize that any game breaking this rule is pushing outside of the Worker Placement arena. If a game follows the first 3 rules but not the 4th, it is likely a network building game – a game in which you expand your access to points, resources, and actions by expanding the number of connections and placements you have. FarmerLenny proposed a game idea which might break the 4th rule; the use of a”rondel” on which workers are placed, but must be placed in proximity to the original placement. After giving it some thought, I think that something like this MIGHT be a worker placement game; but if all future placements are limited based on the original placement, I think it’s network building – you’re trying to expand your access to more resources by adding more workers, even if it is 1-dimensional location. In all likelihood, though, you have an entirely different mechanism with the rondel thing. This whole discussion has been an excellent excursion. Despite my original and audacious claim being “wrong,” it sparked a lot of thought from people all around. In the end, the whole point is this: you can’t define something clearly by a gut feeling. You have to be careful when defining something and make sure you know the difference between a common theme and a required element. Just because a majority of games in a genre have a specific element, that does not mean that element is a requirement of the genre. Whenever you create a defining rule, you have to ask yourself “why.” Why is this a requirement? Why is this necessary? If your answer is “because I like it that way” that doesn’t mean it defines the genre; it just defines your preferences within the genre. When breaking a rule takes the game into a new genre, that is when that rule is necessary to the definition. Any breakage of any of these 4 rules and you’re heading into a completely different genre of game. 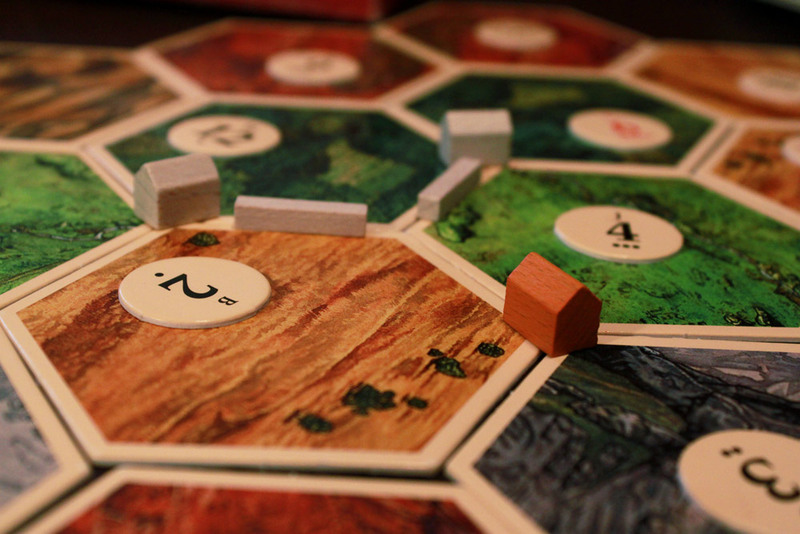 The final verdict: is Catan a worker placement game? Definitively no. But at least we now know why. And to help us all in the future, look for more Guide to Gaming articles that will discuss the different genres of board gaming mechanisms. And you can see what else GeekInsight has to say on the subject here. As for the Rondel, I wouldn’t consider it worker placement. Taking Navegador as an example, you do have a marker (or worker) that can only move so far on the Rondel to give you an action. But, I think it’s more akin to action selection with a restriction, than worker placement. And your fourth rule would appropriately exclude it from the WP genre. Great article. I’ve enjoyed this ongoing discussion. I like these rules, except for maybe the 2nd one, but maybe I’m just misinterpreting what you mean by placed “individually”. Do you just mean one at a time? Or do you mean nothing else can be place there? For example, Aladdin’s Dragons is one of my favorite games, and while not a typical example I would still consider it worker placement. However, other players can place their workers on the same space to try and outbid you for the space, as well as yourself being able to place multiples of your workers on the same space to help win it. Your forth rule is a good one. Why do you specify “individually” in rule 2? Workers in Stone Age are not placed individually. You’re probably right about the individually thing. It was an attempt to distinguish WP which generally involves smaller groups of Workers (usually one at a time, but obviously with exceptions), with something like Small World or Risk which involves building armies that spread and expand and have many many “workers” involved. i revise my rule, “individually” is no longer needed. The 4th rule does seem to make the whole thing very clean. My only issue is with the use of the word “primarily” in rule #2. Is your intended meaning “typically”? Otherwise I think this would exclude something like Ora & Labora. Though I suppose you could make an argument that it is a tableau building game where you merely “activate” portions of your tableau. “Typically” might be a better word for it. I think there should be one more rule regarding how permanent the bonuses from placing the workers should be, though. I don’t think you have a worker placement game anymore if the workers give you a permanent bonus where they are placed. I know some WP games sort of do, but if the placement of houses in Settlers wasn’t restricted by previous placements, it still wouldn’t be a worker placement game.